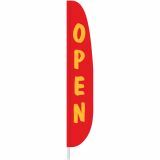 Feather flags are one of the best outdoor advertising business flags. 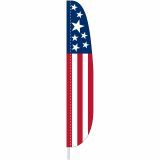 As these flags fly and flap in the wind, these will stir off a lot of interest among the onlookers. 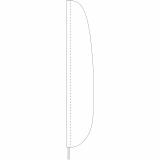 These make popular attractions during fairs, festivals, sports events and more to line the street directing the traffic to your location. 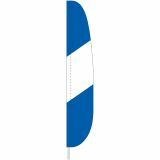 The attractive colors and the generous imprint area will make it possible for you to place your logo and message in a bold and easily readable fashion even when these flags move about in the wind. Shop from our collection of Commercial Grade Feather flags and take advantage of the best prices, quick shipping and much more! 100% customer satisfaction guaranteed! 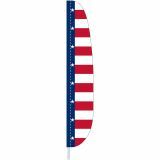 CLICK HERE for Custom Feather Flags. 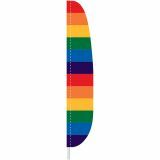 Our Feather flags are easy to use and highly effective for outdoor promotions. 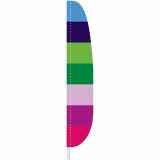 Be it to promote your events, get your message out or to convey a call of action message, feather flags will be a good choice. 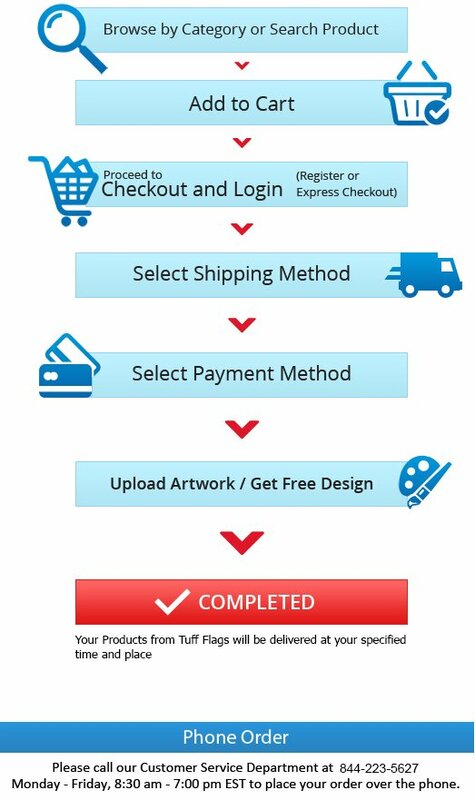 These can be placed on your roof, in store fronts, at trade shows, or in fact anywhere where you need to draw the attention of people. 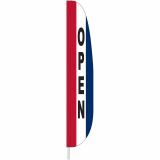 Your brand info on these flags will be always on a wide display as these flags that stay upright do not need wind to keep the flags up. Perfect for both indoor and outdoor use, feather flags are available in a variety of sizes and shapes. So, if you have been looking for top quality feather flags to leave a lasting impression, Tuff Flags could well make your perfect port of call. 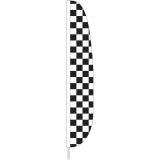 Browse our collection of feather flags to impress your audience. 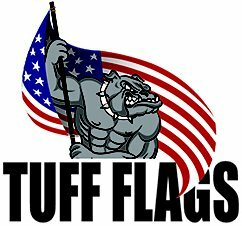 Call us at our toll free number 888-287-3524or email us at customercare@tuffflags.com for orders or queries.